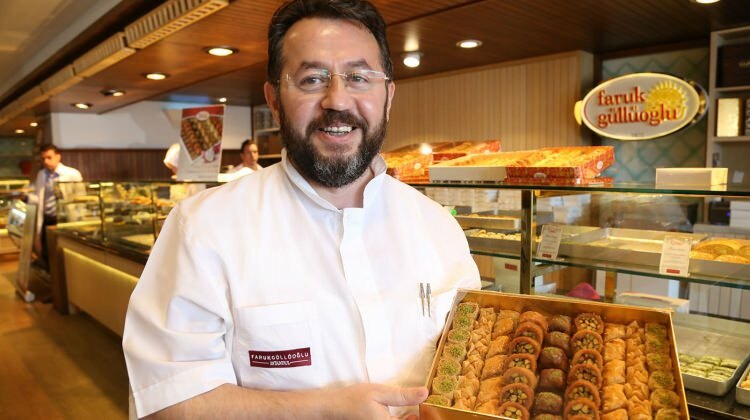 Faruk Güllü, one of the owners of the leading baklava maker Güllüoğlu Baklava, said he has been under arrest for 15 months simply because a licensed book found at his workplace during a police search. Under arrest as part of an investigation into the Gulen movement, Güllü faces 15 years in jail on charges of membership to a terrorist organization. “Once I was told about the arrest warrant issued for me, I went to my workplace and voluntarily surrendered myself to the police [over there]. Only a licensed book was found during police search. …I have been under arrest for 15 months,” Güllü said, adding that he had no other links to the movement, during his court appearance on Oct 30. Turkish government accuses the movement of instigating a failed coup on July 15, 2016 and considers it a terrorist organization while the latter denies involvement, demanding for an objective investigation into the takeover attempt. More than 55,000 people have been remanded in prison pending trial over Gulen links since then. Books written by the movement’s leader Fethullah Gulen or his supporters are considered as terror evidence once any they are found during police searches at properties.